King David looked up to the hills from his palace and knew that he could not find comfort and guidance from the high places and idols of the day. He knew he needed to look above to the Lord, his Maker. 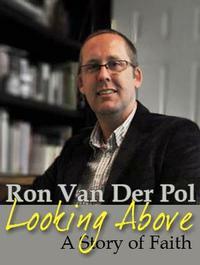 My faith story is one of looking above. It is a story of a legacy of generational faith, and of daily spiritual regeneration. Growing up in Eastern Washington State, I looked to the west and could see the majestic Cascade peaks of Mt. Adams and Mt. Rainier. I was reminded daily of my Creator’s majesty. My parents and grandparents looked above to the same creator. My Grandfather, Grandmother, mother, and her siblings came across the ocean from the Netherlands in 1951. What a decision and commitment my grandfather made. But that was the kind of man my grandfather was. He looked above to the wisdom of his God. He was a man of strong Christian conviction, biblical knowledge, and moral lifestyle. I was instructed biblically in my home from parents who were reared in that kind of faith. My father was a man of example; a quiet man, but strong in his belief in Jesus Christ. He and my mother sacrificed much to send me to Sunnyside Christian School. They looked above to the Lord when times were tough on the farm or financially. When I left home, I was almost immediately confronted with the big decisions in life. Attending a large state university, I was daily met with the challenges of differing worldviews. I had a choice to make each time; and each time I chose a biblical view. I am a sinner. But God, in his undeserving grace, has given me life through his son Jesus Christ. I praise God for giving me his Holy Spirit. This Spirit works in me daily to bring me closer to God. Even though my sinful nature works hard to rebel, I have the assurance of my Father’s choosing me to be his child. After 19 years as a Christian school teacher, I still get excited to go to work each day. I love bringing my passion for art and for God to my students. I value the Christian education I received at SCS and SCHS. I was taught to look above in faith at an early age. I look above with the same eyes of faith as my parents and grandparents - not to geographical hills or to a historical temple - long-since turned to rubble. I look to the same God that David did. Both men are absolutely correct! 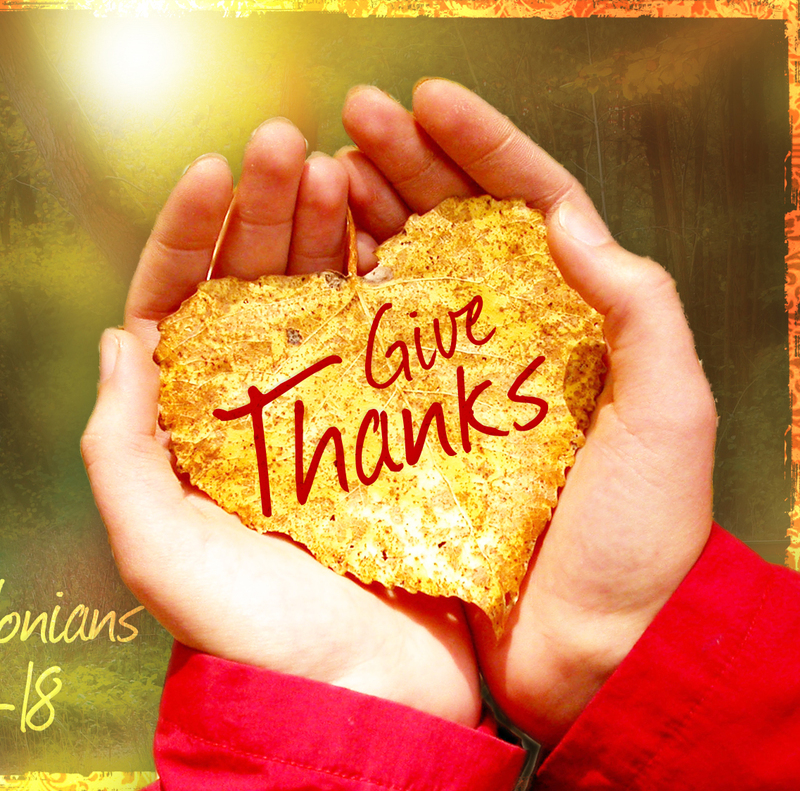 Thankfulness is the pulsating core of all virtue which opens our eyes to God’s provisions. Albeit the calendar does not indicate this time of year as late November, a spirit of thanksgiving to Almighty God is not limited to one season. This attitude is a daily expression to our Father for all of His blessings. So as we, the SCS community, stride down the home stretch at the close of this school year, let us reflect and meditate on God’s incredible grace, goodness, and blessings. For Safety - Countless miles traveled on daily bus routes, sports trips, and various activities-some of these on hazardous winter roads! For Activities (both focused and fun) - Throughout the year, outside of athletics, the students participate in so many opportunities: retreats, banquets, chapels, service ventures, class trips, Close-Up, Career Shadowing, Student Council challenges and games, and pep rallies. For Academics - Knowledge about God’s wonderful and marvelous creation is imparted consistently as the students learn about the intricacies of this beautiful and stunning world He has placed us in to uphold and maintain. For teaching Godliness, righteousness, and striving for Holy Living. The point is obvious. We need to stop, remember, reflect, and thank our Heavenly Father for His gracious blessings every day, every week, every season, and at the close of our school year. Go with God’s blessings! GO MAKE A POSITIVE DIFFERENCE! When it comes to Sunnyside Christian School, I feel like I have a unique perspective. In 1985, I walked through its doors as a Kindergartener. So many things are still the same as that day in 1985. I played tag on that same wooden playground equipment and got blisters from those same monkey bars. I drank from the same (now very little) drinking fountains, and the flags are still flying from the same pole. And I think it’s great that many of my teachers are still teaching today. Mrs. Martinez taught third (although she will always be Miss Vis to me), Mr. D taught sixth (and he’s still showing Ben Hur), Miss Clark taught math in Jr. High, and Mr. Smeenk was eighth grade homeroom. I also walked that solo hallway at Sunnyside Christian High. Although much is the same there, the only teacher who is still there is Mr. Wagenaar. And of course, Mrs. Schilperoort is still keeping the books in her little office! It’s Teacher Appreciation Week, and I’ve found myself thinking a lot about those teachers that are still here teaching and about those who have left. Every school year for the past many years, they’ve walked the same hallways, taught the same lessons, decorated the same walls, supervised the same playground, and heard the same excuses about late homework. However, each year they’ve greeted new faces, thought of new ways to present the same lessons, decorated the hallways with new crafts, encouraged new abilities, and thought of new ways to support the struggling student. My unique perspective continues because I’ve been working for Sunnyside Christian School for many years now. My past teachers are now my colleagues. I go to staff meetings, eat snacks in the teacher’s lounge and go into the principal’s office on a regular basis. And my appreciation for these teachers has grown because I get to see behind the scenes. I see the thought processes of planning a year of learning, the efforts of putting on programs and chapels, and the emotions of truly caring for their students. Now that my children are walking the halls at SCS, my unique perspective has come full circle. The hallways are still long for them. The drinking fountain is still almost too tall, and the toilets are a little loud. The playground is exciting, and talking to any older student is a highlight of their day. As my years out of SCS grow, as my employment here continues, and as my children work their way through each classroom, my appreciation for the teachers grows. I can leave my children with them because I trust them completely. I know they will love my children even when they’re naughty. I know that they will teach them about Jesus’ love and sacrifice and will encourage them to develop their relationship with Him. And I know that these teachers love Jesus enough to teach each subject through the lens of our Christian faith. So to each teacher that has touched lives at Sunnyside Christian or Sunnyside Christian High, thank you.